Bags are packed and I am ready to go. 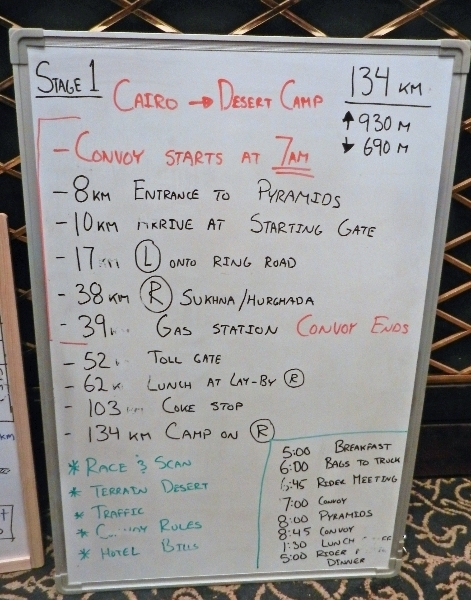 Tomorrow morning we take off from the hotel in a “convoy” and start cycling. It will be nice to be on the road and in regular cycling rhythm. 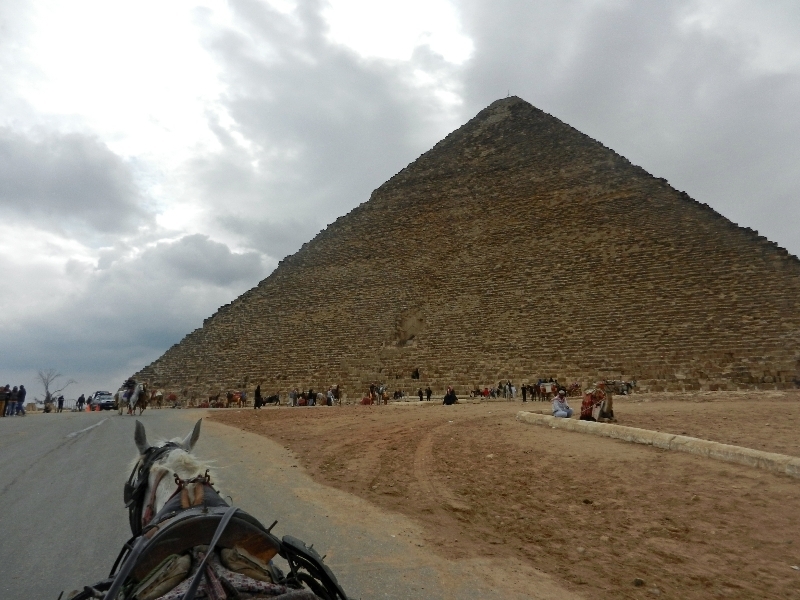 This morning I did a last bit of Cairo sightseeing to visit the nearby pyramids. I initially inquired on taxi rates and tried to see how far I could bargain. However, still decided to walk to the pyramids instead (~8km). 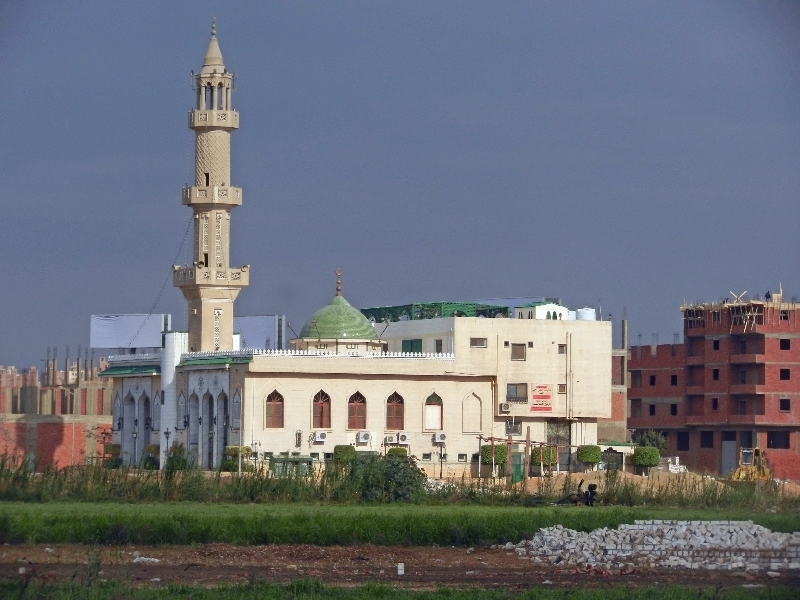 Photo above was a mosque I saw along the way. 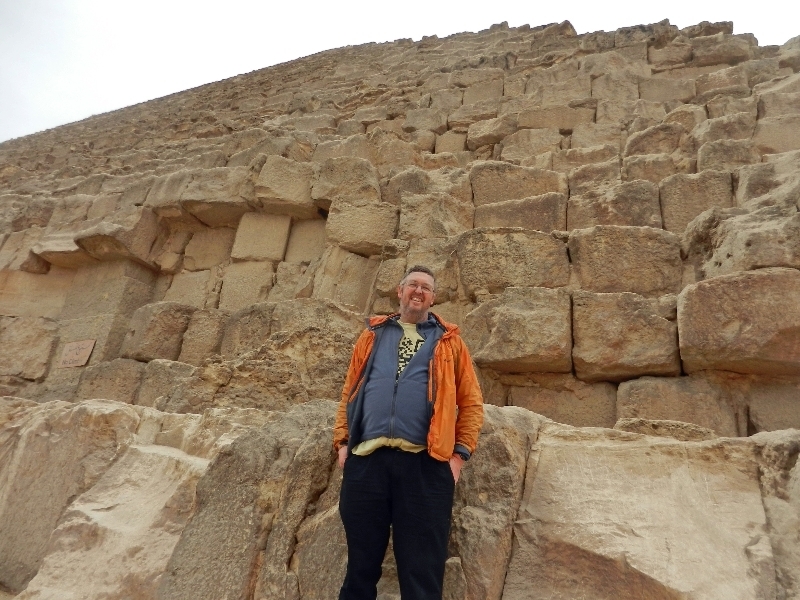 Once at the pyramids I decided to get into full tourist mode. Unfortunately with press, tourism to Egypt has been down, so vendors are eager for customers. A man approached me about riding in a horse carriage. Decided I’d do that. Along the way we picked up a guide who wouldn’t tell me his rate up front, but instead said I should pay what I thought (though that made negotiating later more interesting). I was pretty impressed seeing the pyramids. Wow! Even went inside one of the smaller ones to climb way down and then find the (no longer) hidden tomb. In the afternoon we had our official rider meeting. Everyone gets a rider number and mine is 143. 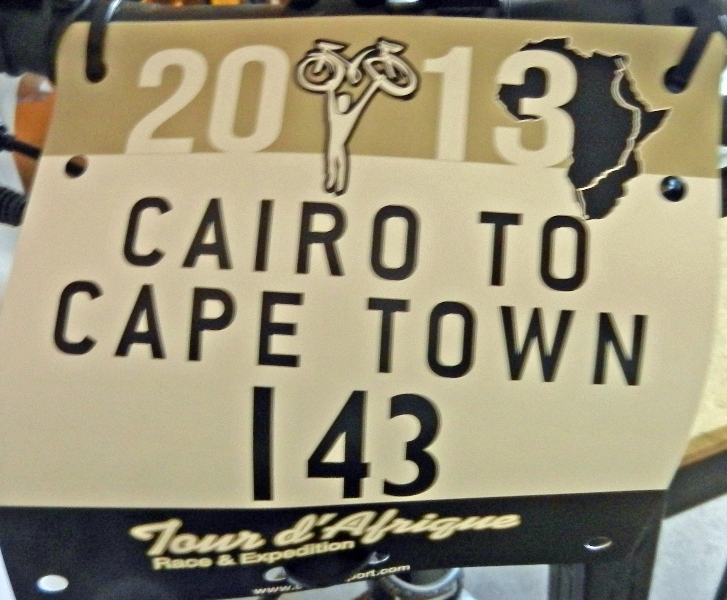 Tour D’Afrique runs this trip as both an “expedition” and a “race”. I am the furthest from anyone who expects to be racing this. However, it was also explained to us that you could also pick up a timing chip and clock in and out without really racing. I decided this was still ok, so if you see the “official race results” and my name is way down on the list. That might be expected. However, don’t mind trying to clock in and out sometimes for adding to the list. – Internet when it is available (even at hotel here) can be flaky, particularly when group of riders from throughout the globe starts to stree the system. These issues aren’t necessarily unique to me. When I followed blogs during past two years, there were often gaps of seven days to a week at a time when nothing was heard. Not quite complete radio silence but most all the blogs ended up being edited locally and posted later. I expect mine to be similar. Footnote: This blog posting was almost launched when we had internet problems @ the Cataract Pyramids hotel. Logistic issues mean there will likely be gaps between updates similar to this. Also having some fun with one of my two cameras, it didn’t like the desert sand.